Renee Figueroa, ANP-BC, joined Georgia Kidney Associates after graduating from Kennesaw State University with a Master of Science in Nursing in 2004. She is certified as an Adult Nurse Practitioner. Mrs. Figueroa graduated from Kennesaw State University with a Baccalaureate in Nursing in 1999. 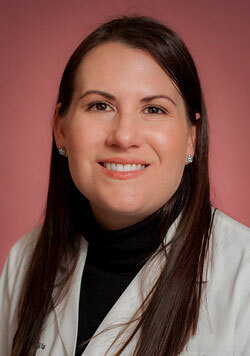 Her nursing background consists of critical care, renal transplantation, and peritoneal dialysis. Renee has been a resident of Cherokee County since 1978. She currently lives in Woodstock with her husband and son. She enjoys swimming, baking, and spending her free time tryng to keep up with her energetic son.